These earrings would make the perfect gift for any upcoming occasion. 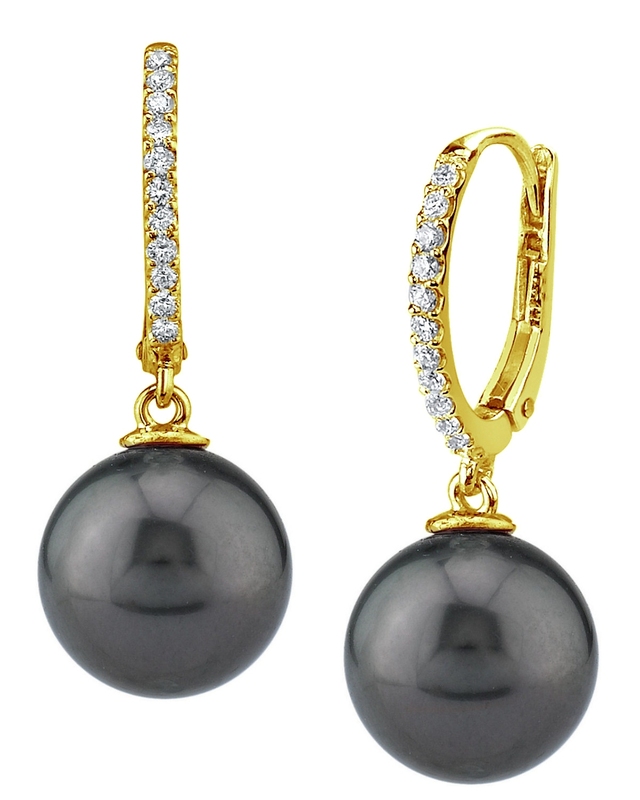 These earrings include two beautiful Tahitian South Sea pearls with 'Very High' luster, our highest grade available. The mountings include 12 sparkling SI quality diamonds totaling .22 Carats. If you have any questions, feel free to call us anytime at 1-866-87-Pearl (1-866-877-3275). I love wearing these earings at every chance i get.Excellent quality.Thanks.